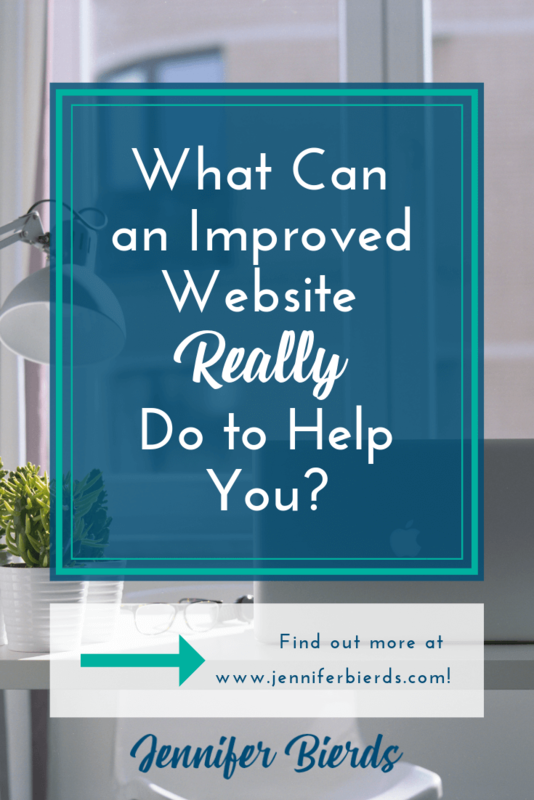 What Can an Improved Website Really Do for You? Your small business’s website has the potential to be so much more than a pretty page to show off to your potential customers. And, the need for an attractive, functioning website is greater now than it ever has been. It’s practically an expectation that every business has a great website. So, what if your current website doesn’t necessarily fall into that “great” category? Is having a so-so website better than not having one at all? Maybe back in the early days of the internet, but not anymore. Not only can having a better website be helpful when attracting potential clients, it can make your day-to-day work easier. Your potential customers will truly appreciate having everything they need from you at their fingertips. Nowadays, if people can find what they need online instead of making phone calls, they’re much happier. Let me give you a real life example. When we were searching for a school for our son, there were two schools we really liked: one that had every last detail about them on their website, and one that had next to nothing on their website, but it was pretty. I had to email the second school for every little thing, and half the time, they took several days to get back to me. Guess which one we chose? Your hours and location, easily found - It sounds pretty straightforward, but you’d be surprised how many times I have to really dig to find this information on some website. This information should be very easy to find, especially if you’re in a physical building. A true sense of who you are - Your website is often the first impression people have of your business, so take advantage of that and sell your story. You can create an about page that details the story of how your business came to be and the people behind it. And, you can include pictures of you and your business, connecting with those potential customers on a more personal level. Details about what you do - If your bakery offers custom three tier cakes, you can outline that on your website. You can specify what flavors you offer (or don’t) and what you prices are. You have the power to offer your potential customers all of the details, so in the end, they know as much as possible and they’re ready to work with you. More ways to communicate with you - Think of how many people use self checkout now to avoid the line and talking to a cashier. Don’t you think those people would rather just send an inquiry on your contact form rather than have to call you on their lunch break? Your website can have a contact us form, your email address, even a chat box if you want. The easier it is to get in touch with you, the more likely it is that people will take the time to do so if need be. A better chance of finding your business - A great website will also have great SEO, meaning that your business will be more likely to be found in search results. If you’re hanging on to a website built on a free single page DIY platform, odds are, you don’t have much control over that. Improving your SEO can translate to improving your business, and it’s something you can control, especially with Squarespace. Now, it might seem that everything about your website is for your potential customers. But, another way to look at it is that you can make your website work for you. You can streamline your work day because of the features on your website, saving you time and headaches. An availability calendar - This can be used in a variety of ways, tailored to your business. For example, you may offer custom wedding cakes, which means you can only accept so many of these orders at a time. Or, you may have a party hall where parties are booked on certain days and time blocks. No matter the case, you can display your current availability on your website using your calendar, and allow people to submit a request for your services on available dates. This is especially easy with Squarespace and the included Acuity tool, which syncs with your current online calendar. An events calendar - Many businesses have special events on a periodic basis. Whether you have live music at your cafe on Friday, or your nonprofit is hosting a fundraiser, you can have an events page that highlights these special events. Even better, you have the ability to have people pay for access to these events directly on that page. So, instead of hitting up your friends and family to buy tickets, taking cash, and giving them paper tickets, it can all be done through your website and save you the hassle. Grow your email list - An email list is one of the best ways to create a following of people that really want to keep up with your business. If you’re taking advantage of features such as (non-annoying) pop-ups and the ability to give customers freebies through your site, people are more likely to sign up. Once your list takes off, you can reach those subscribers directly to let them know about sales, promotions, and any other special events going on with your business. Free advertising - Another way to reach potential customers is by creating a blog that offers content they find interesting. The best part? Blogging is totally free! Some website builders don’t even allow for a blog, but an improved website can change that. Squarespace makes creating a beautiful blog easy, all you have to do is write the posts. You’ll start attracting potential customers to your website through your blog, who will then click around your site to learn more about your business. Details about your services/products - Yes, this was listed as a benefit for your customers, but it is one for you, too! If you can answer as many potential questions as possible through your website, then you’ll save yourself time answering them on the phone and through email. Being proactive by having a detailed services page can keep you from wasting a lot of time. An improved website can tell people everything they need to know, and the information will be easy to find. Put those two things together, and the questions you receive will be few and far between, giving you more time to focus on your business. As you can see, a better website is not just about looks. In fact, it’s more about function, and giving people a positive first impression of your business. If they find that they’re able to easily find all the information they need and moving forward with you is simple, they’ll be more likely to work with you. And, if all of the pieces are in place to streamline your work, you’ll benefit, too. So, are you ready for an upgrade? I offer custom Squarespace websites for small businesses that incorporate all of the features I listed above. 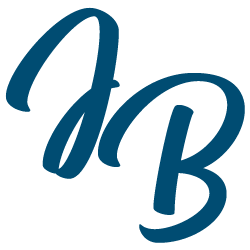 I’d love if you booked a call with me below, and we’ll chat about how I can make them work for you! Don’t miss out on these popular posts!